It’s Halloween, and that means you might catch a glimpse of the silent spectre of death lurking about…The Grim Reaper is just one of the terrors awaiting in the shadows. Why do we celebrate such a ghoulish holiday? No matter how or even if you celebrate Halloween, it would seem that the world has a fascination with all things scary, be it death, dark, or life itself. 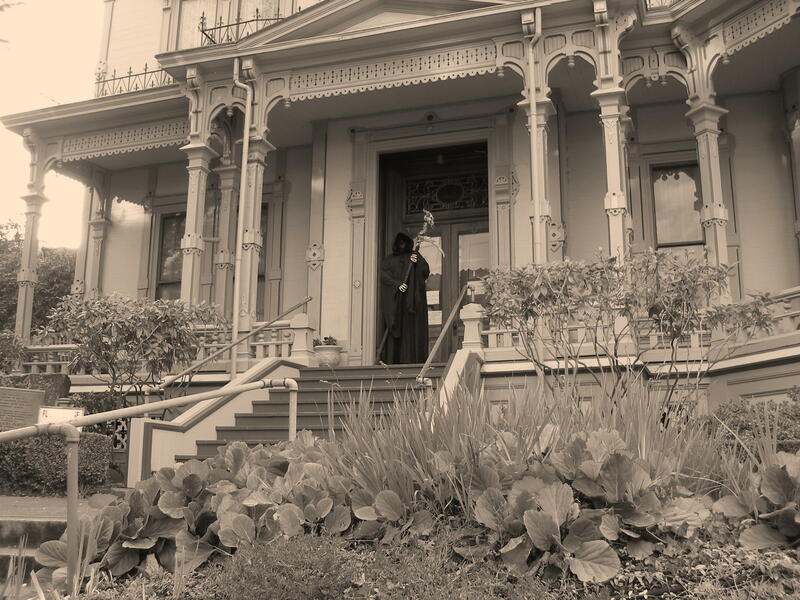 Happy Halloween from <a href="http://www.historyinvogue.comNW Limited…History in VogueTM! Walking the streets of Manhattan….